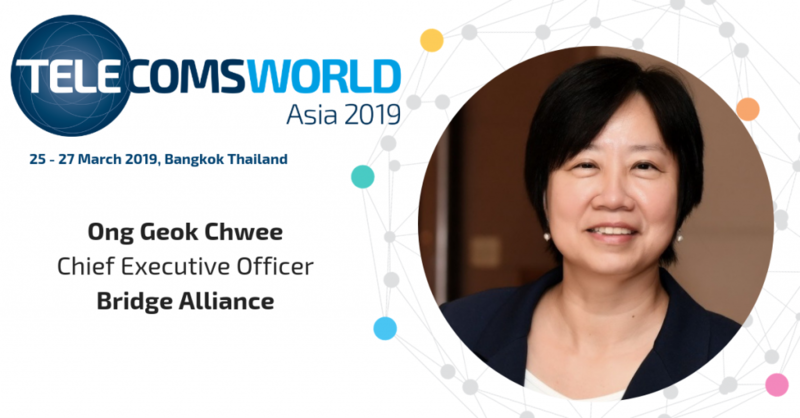 Join us at Telecoms World Asia 2019 where Geok Chwee will be sharing her thoughts on new revenue opportunities for telcos. Fireside Chat: How Can Telcos Monetise IoT? How can telcos tap on IoT as a new revenue stream? What are the new business models that will emerge? Emerging tech and the realisation of trends. What are the key drivers and how will they translate into revenue? How are leading telcos around the world harnessing technology to activate new growth? Also, there are many more speakers from the Bridge Alliance network that will be taking the stage at the event. Download a digest of their speaking slots here. Download the latest agenda here. Yet to get your pass? See if you qualify for a free VIP pass here.